Superstar Jennifer Garner proves that looks can kill as the sexiest action hero ever to burst from the pages of Marvel Comics. 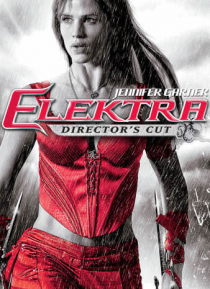 Restored to life after sustaining mortal wounds in Daredevil, solitary Elektra now lives only for death as the world's most lethal assassin. Elektra is on a collision course with darkness... until her latest assignment forces her to make a choice that will lead either to h… er redemption or destruction in the ultimate battle between good and evil!